Materials Hoop Pine plywood, leather. 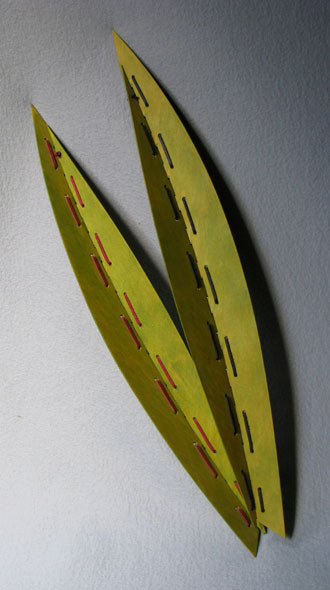 Simple leaf forms, subtly curved, stitched together with leather. Finish is eco-friendly waterborne stain, wax.